Dave Scott McCarthy | iTunes gets a brand new look. iTunes gets a brand new look. 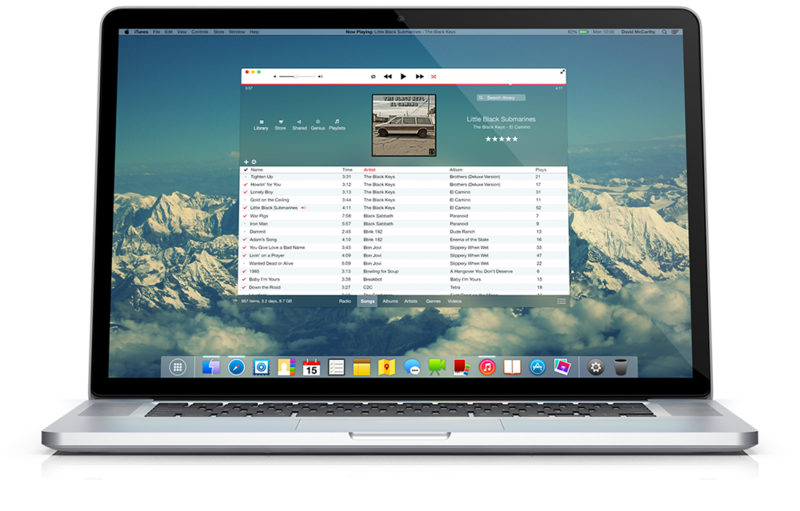 A long-neglected app in OS X, iTunes gets a new look, and feel. The song currently playing now has prominent placement at the top, and the controls are less crowded.